What is the definition of the term “child” in the provinces and territories across Canada? How many cases of child abuse and neglect occur every year in Canada? Do child welfare systems differ from one province and territory to another? How are the child welfare laws different across Canada? How many children are in the care of child welfare systems in Canada? How do Canadian child welfare systems work for Indigenous children? How does Canada compare to other western countries in measurements of child well-being? 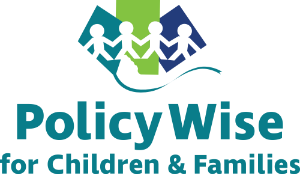 “Child welfare” is a term used to describe a set of government and private services designed to protect children and encourage family stability. The main aim of these services is to safeguard children from abuse and neglect. Child welfare agencies will typically investigate allegations of abuse and neglect (these activities are called “child protection services”), supervise foster care and arrange adoptions. They also offer services aimed to support families so that they can stay intact and raise children successfully. The age range for the age of protection differs from one province and territory to another, according to the laws of each. It is important to understand that the definition of “child“ in the law covers not only young children but also teenagers (also called “youth”). * Note: Children with disabilities are eligible for protective services until age 19. You can get more information on the signs of child maltreatment from the National Clearinghouse on Family Violence, operated by the Public Health Agency of Canada. The telephone number is 1-800-267-1291 or (613) 957-2938. You can also call Kid’s Help Phone at 1-800-668-6868. Your local child welfare agency is also a good information source. Click here to find the local child welfare agency in your province or territory. There were an estimated 235,842 child maltreatment-related investigations conducted in 2008, of which 36% (85,440) were confirmed for child abuse or neglect (a rate of 14 per 1,000 children). The actual rate of maltreatment is thought to be much higher due to underreporting. For more details, please refer to the 2008 Canadian Incidence Study of Reported Child Abuse and Neglect. Every local municipality in Canada has a child welfare agency that has the legal responsibility for investigating reports of child abuse and neglect and taking appropriate steps to protect children. These agencies can be contacted by the public around the clock every day of the year. The following table shows the provincial/territorial laws and the government agencies that are responsible for child welfare*. Please click on any province/territory links below to find more information on legislation. * Please note these names have been changed over the last few years so may be different in older source materials. Although First Nation children represent less than 6% of the child population in Canada (Statistics Canada), they comprise an estimated 26% of children who are placed in out of home care during a child protection investigation. The percentage of Indigenous children in child welfare systems reaches 60% to 78% in some provinces and territories. The rate of Indigenous overrepresentation is growing larger since each year Indigenous children are brought into care of the welfare system at an increasing rate. Non-delegated agencies with voluntary mandates to provide services to Indigenous people. The federal government typically pays for child welfare services on reserves, while the provinces pay for child welfare service delivery in places that are not on reserves. Child welfare services provided to Indigenous children will include the Indigenous community as an important element in the lives of children. For example, they will often consult with Elders, band members, and extended family members when making decisions about the best interests of the child. Many child welfare issues in Indigenous communities are hampered by poverty, community isolation, lack of social services infrastructure and higher living costs. Further information on child welfare for Indigenous children and youth can be found in a number of information sheets produced by the Canadian Child Welfare Research Portal. Please click here to view. UNICEF released a report in February, 2007, which compared a number of indicators of child well-being* among the 21 countries that are part of the Organization for Economic Co-operation and Development (OECD). The countries that were compared are all relatively wealthy in comparison with other countries in the world, and they are all European or North American. The report showed that Canada is in a middle position overall in caring for the well-being of its children and youth. Canada’s strengths were in providing children with material goods and education. Areas in which Canada ranked poorly were in family and peer relationships and in parents allowing risk-taking behaviour on the part of children and youth. More information can be found in the Canadian Child Welfare Research Portal's Information Sheet #52: The well-being of children in wealthy countries: UNICEF Report Card 7.